You may have received a flyer in the mail loudly proclaiming that you can get free tickets to nearby theme parks. You may have been considering a family vacation and a 90-minute presentation seems like an unbelievably small price to pay. During the presentation, the vacation property sounds great but you’d really like to think about the investment before taking the plunge. No time for that. Continuous pressure is heaped on you until you relent and purchase a unit. You’re tired, so you don’t focus on the details of the paperwork. And like that, you’ve made an investment in a timeshare that may cause financial heartache. Has this happened to you? You’re not alone. Millions of people purchase timeshares each year without full knowledge of the constraints of their contract. They may find that they are unable to take vacations when they want to or are faced with a myriad of fees. In essence, they could be paying a high price for a piece of property that they can barely use. The timeshare trap can be a frustrating one but there are ways out. Talk to a timeshare lawyer who can assess your case and devise an amicable solution. How Can MyTimeshare Attorney Help? Timeshare Cancellation: Even though your timeshare documents are legally binding, they can be voided under certain circumstances. Timeshare companies and timeshare user groups would lead you to believe otherwise. A timeshare lawyer can attempt to get the contract canceled by proving that misrepresentation or fraud took place. Deed in Lieu: If you are having trouble making payments on your timeshare, a member of our team of timeshare lawyers can work with the timeshare company to convince them to accept a deed in lieu of foreclosure for your property. In timeshare deed in lieu, the owner gives the property back to the timeshare company and is released from the debt. Free Consultation: If you think you may be the victim of timeshare fraud or misrepresentation, it’s highly advisable to speak to a lawyer at MyTimeshare Attorney. We offer a free consultation where we will learn the details of your case and give honest advice about next steps. 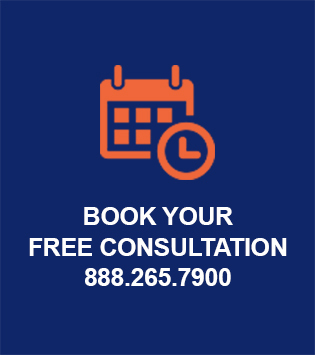 For a free consultation with one of our timeshare lawyers, please contact us at 888.265.7900, or book online.